Some more links for you. I’m also lifting the temporary comment moderation filter, hopefully lessons have been learned and no more such measures will be needed. Thanks for your patience. Pileta: Más sobre Unas focas pintadas por neandertales podrían ser la primera obra de arte…[es] – Salaman mentions that lack of economic resources do not allow to research further by the moment the possibility that the Nerja seals could have been drawn by Neanderthals. Pileta: Catalogan pinturas de Altamira que son 15.000 años más antiguas que los bisontes[es] – Some Altamira paintings are found to be 15,000 years older than the famous bisons. This may make them the oldest rock art in Europe (with permission of Nerja and comparable to Grotte Chauvet). No images of the early Aurignacian art are available yet but it is coincident with a trend to reclassify European rock art as of earlier age and Aurignacian period, as discussed here, but mostly not as early as in this case (before 30 Ka BP). AIOC: Lithic continuity & innovation in Holocene South India – D. Fuller introduces a new paper (ppv) on the Holocene industries of India (pictured below). AIOC: Sourcing the ‘lost Saraswati’ river: new geological evidence – the same author, discusses how the lost Saraswati river does not match the Holocene geology of the subcontinent but could correspond with that of the Pleistocene. How to feed a pregnant Neanderthal (AVRPI) – the almost always interesting archaeologist Julien Riel-Salvatore discusses several papers on the apparent myth of high protein Paleolithic diets. Max Planck Institute Leipzig | A High Coverage Denisovan Genome – The Denisovan genome is available for all to explore (the researchers however request courtesy if used for academic publication). PLoS Genetics: Evaluation of the Role of Functional Constraints on the Integrity of an Ultraconserved Region in the Genus Drosophila (open access). Il tente de décrypter l’ADN de la langue basque (SudOuest)[fr] – Basque cultural journalist Hasier Etxeberria prepares a documentary on the various theories on the origins of the Basque language. 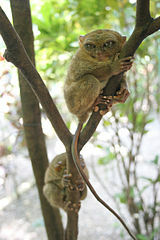 Tiny primate ‘talks’ in ultrasound – our distant Pinoy wild cousin, the tarsier, is not as silent as was thought, they just talk in ways we can’t hear. What elephants want: Ranging and raiding in Asia and Africa | EveryONE – elephants in fragmented habitats need more land, they also follow the lead of the old ones when raiding crops. Castile: Stature estimates for Sima de los Huesos (Atapuerca) discussed by John Hawks. Romania: stratigraphies and dates revised by new study (PPV) ··> Quaternary International. Andalusia: oldest ornament made of barnacle’s shell (right) found in Nerja Cave ··> Pileta de Prehistoria[es], UNED[es], Universia[es]. England: Star Carr dig to shed light on transition from Paleolithic to Epipaleolithic ··> short article and video-documentary (32 mins) at Past Horizons. Basque Country: archaeologists consider a barbarity that only 65m are protected against the quarry at Praileaitz Cave (Magdalenian) ··> Noticias de Gipuzkoa[es]. Yemen: 200 tombs said to be Paleolithic discovered in Al Mahwit district, west of Sanaa. Tools and weapons were also found. Other thousand or so artifacts from the same period were found in the Bani Saad area ··> BBC. Sarawak: Niah Cave being dug again for further and more precise data on the colonization of the region by Homo sapiens ··> Heritage Daily. Siberia was a wildlife-rich area in the Ice Age ··> New Scientist. Peru: 10,000 years old cave paintings (right) discovered in Churcampa province ··> Andina. Iberia and North Africa: Southern Iberian and Mediterranean North African early Neolithic could be the same process according to new paper (PPV) ··> Quaternary International. 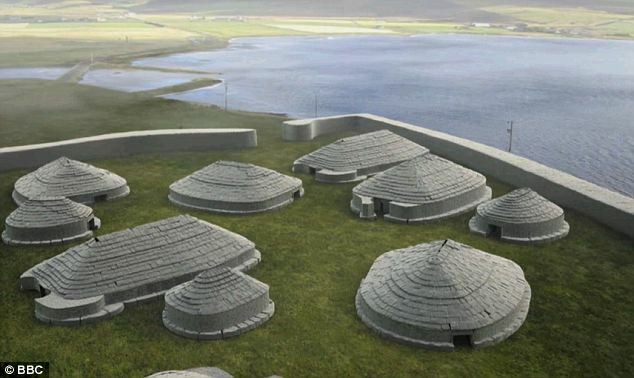 Galicia: Neolithic and Metal Ages remains to be studied for DNA ··> Pileta de Prehistoria[es]. Texas: very informative burnt hut reveals clues of the natives of the San Antonio area c. 3500 years ago. Mexico: 2000-years old paintings found Guanajuato ··> Hispanically Speaking News (notice that the photo appears to be act of shameless journalistic low quality, being a European bison painted with European style, probably from Altamira). Croatia: oldest known astrological board unearthed at Nakovana (Roman period). The cave was probably some sort of shrine back in the day, maybe because a striking phallic stalagmite. Besides the ivory astrological device, lots of pottery has been found as well ··> Live Science. Basque Country: Iruña-Veleia affair: Basque autonomous police does not have means to test the authenticity of the findings. The Commission for the Clarification of Iruña-Veleia asks for the tests to be performed in one of the few European laboratories able to do that ··> Noticias de Álava. Cornwall: replicating sewn-plank boats of the Bronze Age ··> This is Cornwall. 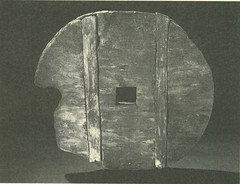 India: cremation urn from the Megalithic period excavated in Kerala ··> The Hindu. Centenarians don’t have any special genes ··> The Atlantic. Fat is a flavor: newly discovered sixth flavor in human tongue identifies fat (and usually likes it) ··> Science Daily. 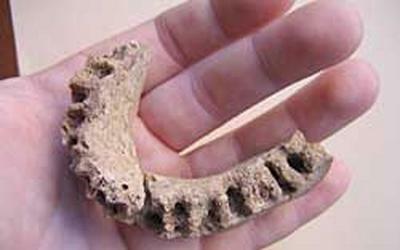 Hominin tooth found in Bulgaria dates from 7 million years ago ··> Daily Mail. The journey of the Tubu women: fascinating documentary in Spanish language about these trans-Saharan trader women available at Pasado y Futuro[es]. Small capuchin monkey bands fight as well as large ones because members are more motivated and have many less defections, even in peripheral conflicts ··> Science Daily. Horse genetics again ··> new paper at PLoS Genetics. Fig. 4 – Phylogenetic tree of extant Hippomorpha. Again, in short notice, a lot of interesting stuff. Most notably the portrait of the largest bird ever but also a lot of new info on Neanderthal (and Erectus!) Europe, the Iruña-Veleia archaeological scandal, etc. 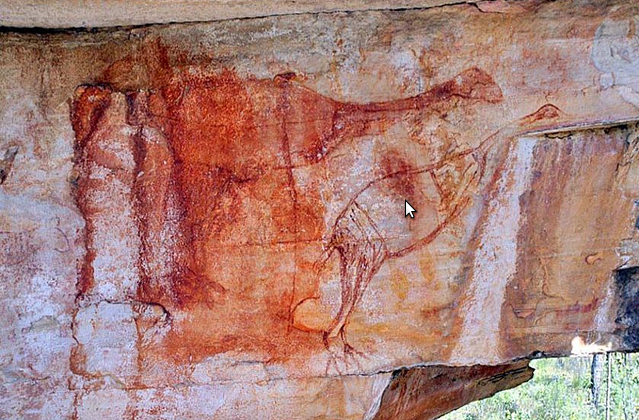 Australian Aboriginal Rock Art May Depict Giant Bird Extinct for 40,000 Years : Living the Scientific Life (Scientist, Interrupted) – hat tip to David. The giant bird depicted at Niwarla Gabarnmung is not an emu but a Genyornis newtoni, the largest bird that ever existed. Its extinction date, c. 40,000 years ago, is the most recent possible date for the artwork therefore. Pileta de Prehistoria: Atapuerca hominins could be a sister species to Neanderthals[es]. Actually much more is claimed in fact: that they are more related to Neanderthals than any other fossil known and that, for that reason and because of chronology, they are the best candidate to be the direct ancestors of Homo neanderthalensis. 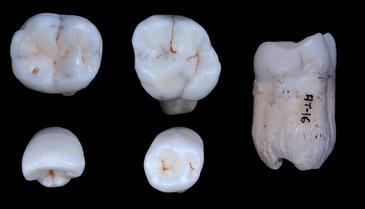 Academic reference: Aida Gómez Robles et al., A geometric morphometric analysis of hominin upper premolars. Shape variation and morphological integration. Journal of Human Evolution 2011. Pay per view. A possible issue is that the site of Atapuerca has provided such a huge number of hominin bones that it is very difficult to compare with even the whole collection of all other European sites. Excavations in Serbia Raising New Questions About Early Humans in Europe | Popular Archaeology. They have found a Homo ergaster or H. erectus dated to before 110,000 (preliminary dating suggested 130-250,000 years). In this period it was believed that only Neanderthals lived in Europe already. Are these ‘erectus’ related to the equally mysterious occupation of Crete also before 130,000 years ago? 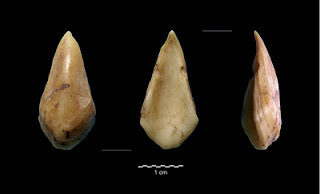 Mirjana Roksandic et al., A human mandible (BH-1) from the Pleistocene deposits of Mala Balanica cave (Sićevo Gorge, Niš, Serbia). Journal of Human Evolution 2011. Pay per view. BBC News – Moreton-in-Marsh Stone Age axe find leads to seaside theory – a Mousterian axe in England with a whole theory on the environment it was once used. Franchthi Cave revisited: the age of the Aurignacian in south-eastern Europe << Antiquity. The Aurignacian of Greece overlaps at both sides of the Campanian Ignimbrite Eruption c. 41,000 years ago. New book in English talks about the Paleolithic of Galicia << La Voz de Galicia[es] – the book can be found online here. NEWS: Pits with celestial alignments discovered at Stonehenge « The Heritage Journal – more extended at the Birmingham Mail and The Independent. Pileta de Prehistoria: “Guide to Galician Petroglyphs” presented[es] – the book (in Galician language) can be found here. It is notable that the authors emphasize the similitudes with petroglyphs from other areas, be them in the Iberian Plateau or in Ireland. Faro de Vigo[es] titles: 4000 years ago there was a single language that linked the British Islands and Galicia. New step in the legal and scholarly controversy on the exceptional findings at the Vasco-Roman site of Iruña-Veleia: state attorney demands physical tests to Basque Autonomous Police. Previously the defense had asked for them to be made by the Guardia Civil (Spanish military police corps, similar to the French gendarmerie or Italian carabinieri). Also in relation to the Iruña-Veleia scandal Iruina blog tells us[es] (with video reports) that some scientists have exhausted their patience with the local politicians and tribunals and the abuses that they are inflicting on this most important archaeological site (not just for the history of Basques but also for that of the late provincial Roman Empire, including the origins of Romance languages and new religions like Christianity and Isianism) and have decided to bring the matter to the international arena, so the finger of shame would point to those guilty of unforgivable archaeological destruction. Jason A. Wilder et al., Genetic Continuity across a Deeply Divergent Linguistic Contact Zone in North Maluku, Indonesia. BMC Genetics 2011. Open access. Let’s assume that there are 20 well-documented companions [of William the Conqueror]. Only one of these (William Mallet) has possibly passed on his Y chromosome to the present time and even that male line of descent is disputed. This is fully consistent with our understanding of genetics when you consider that most male lines are likely to die out in a few generations. Those that survive ten generations or so are unlikely to become extinct since there will likely be several male lines at that time. So what were you saying about Genghis Khan? Babies show that sense of justice is hardwired.